The 2018 midterms are upon us, and 35 million disabled people in the U.S. are theoretically eligible to vote. But how many will cast ballots? Our voter turnout consistently lags far behind nondisabled people, especially in the case of people with mobility impairments, cognitive disabilities, and intellectual disabilities. It’s not necessarily that we don’t want to vote, but that society creates barriers — like voter ID laws or “mental competence” regulations — that make it difficult. Sometimes, inability to vote comes down to a lack of access: Polling places may be set up in locations that don’t meet accessibility standards of the Americans with Disabilities Act (ADA), or poll workers may not have accessible materials and equipment. While requesting an absentee ballot may be an option, it shouldn’t be the default response to inaccessibility: We deserve the right to vote in person. One way to increase polling place accessibility is to get involved as a poll worker — your city or county clerk can provide you with information about volunteering. Another is to advocate with local election officials for disabled voters — whether you’re disabled or not. Taking action now, not in November, is critically important. Selecting polling places takes time and sounding the alarm about inaccessibility will increase the probability that local officials will pick an accessible site. It’s also important to make sure officials get advance notice on what they need to think about for Election Day accommodations. 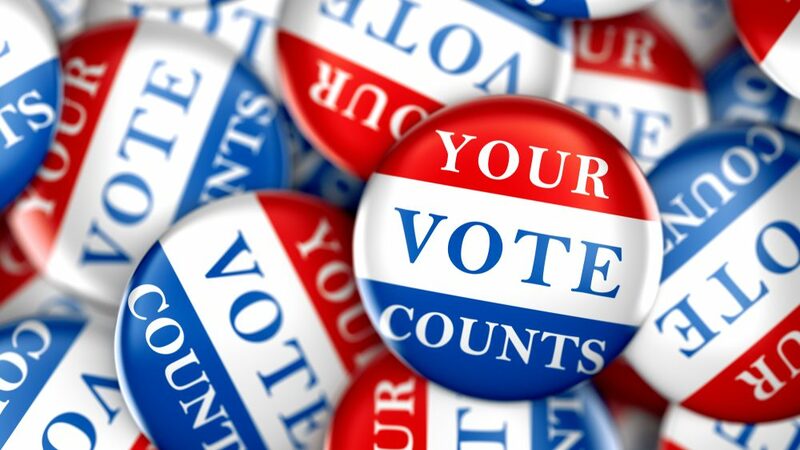 When advocating on this issue, encourage officials to consult a disabled person with expertise in accessibility and accommodations in the development of polling place locations and policies, and to include this person in site inspection and setup as a troubleshooting resource. Selecting an ADA-compliant site can radically increase the probability that disabled people will be able to enter to cast their votes. Unfortunately, polling places often wind up in churches (which are exempt from the ADA) or older buildings that are fully or partially inaccessible, even though this not allowed. In 2016, two thirds of polling places had at least one accessibility issue. So what does accessibility look like? Remember that “theoretically accessible” and “actually accessible” are two different things. Some starting questions: Is there accessible parking nearby? Is there a drop-off area in front of the accessible entrance? Does the building have ramps and railings? If not, can temporary ones be installed for Election Day? Are there protruding objects like posts, curbs, or signs that might catch blind and low-vision people? Are doorways wide enough for wheelchair users? Is there an accessible bathroom in working order that isn’t blocked or being used as storage? If the polling place is upstairs, is there also an elevator? Can wheelchair users safely navigate in the space, including around bulky voting machines, tables, and chairs? Addressing access can also improve crowd flow, which benefits everyone! The United States Department of Justice provides a detailed checklist for physical accessibility that you can print out and bring to local officials, though many states have their own accessibility checklists, like these examples from Ohio, Michigan, and New Jersey. You can also think beyond required physical access. For example, seating for people who get tired if they stand for too long can make polling places more welcoming. Likewise, choosing a location near a well-serviced transit route increases the chance that people can get to the polls on Election Day. Thinking about issues like scent or chemical sensitivity should also be factored into discussions about where to situate a polling place. Large print and plain language instructions should be available so people can vote independently. Access to multilingual material is important, along with standby translators and sign language interpreters to assist voters. Every voter should be able to obtain the information they need in order to vote independently. Accessible machines should be properly serviced and in working order. What happens if there’s only one accessible screen for blind and low-vision voters and it breaks? One way to get around this is to follow the National Federation for the Blind’s recommendations and simply make all voting machines accessible, or to adopt a tablet voting system like in New Hampshire. Polling places should include at least one wheelchair-accessible voting booth that is private, along with a check-in table that accommodates wheelchair users. Remember that more than one disabled person may want to vote at once, so the more accessible options you have, the better! If someone’s stuck voting in the middle of a crowded room with no privacy, that’s not okay. You may have heard of workarounds like polling place workers filling out ballots for people, or carrying ballots out to the vehicles of people who can’t get inside. This deprives people of their right to a secret ballot, and is not an acceptable workaround for inaccessibility. It’s important for polling place workers to receive accessibility and sensitivity training. This should include instruction on the accessible features of voting equipment, so they know how to assist disabled voters. They should also learn to avoid making assumptions about people’s disabilities or asking intrusive questions, unless a disability-related query may be necessary for problem-solving inaccessibility at a polling place. The bottom line: It’s highly probable that someone needs to open up a conversation about voting accessibility where you live, and you might be a good person to start that conversation. If you don’t have experience in advocacy or working with government officials, it can be uncomfortable or even scary to start conversations like these. One option you may find less stressful is sending an email or a letter, rather than calling or coming to an office in person. If you get the brushoff from the people who administer elections, consider going to an elected official: It’s their job to represent you…and you might want to note that they can’t represent you if you can’t vote.